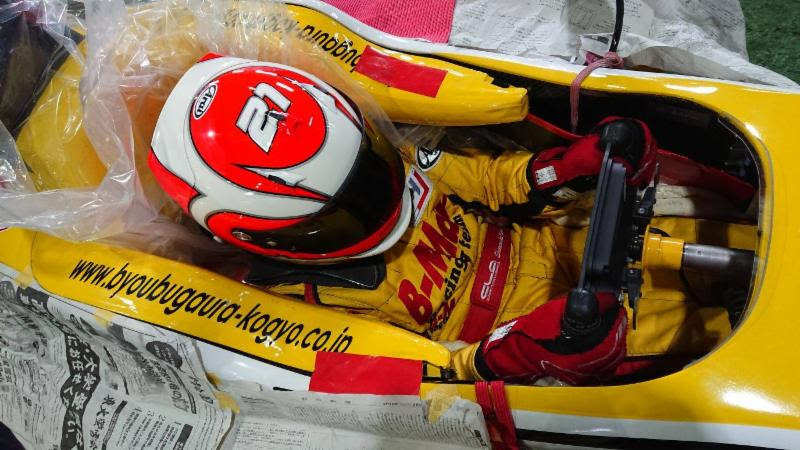 Bruno Carneiro is already in Japan! After spending 10 days in Brazil on a marathon of TV Interviews, meetings and promotional visits, Bruno Carneiro (18) flew back for a few days in Utah for a Fundraising dinner on his behalf organized by Rodizio Grill at their Trolley Square location and attended by 80 friends, sponsors and Facebook/Twitter followers. 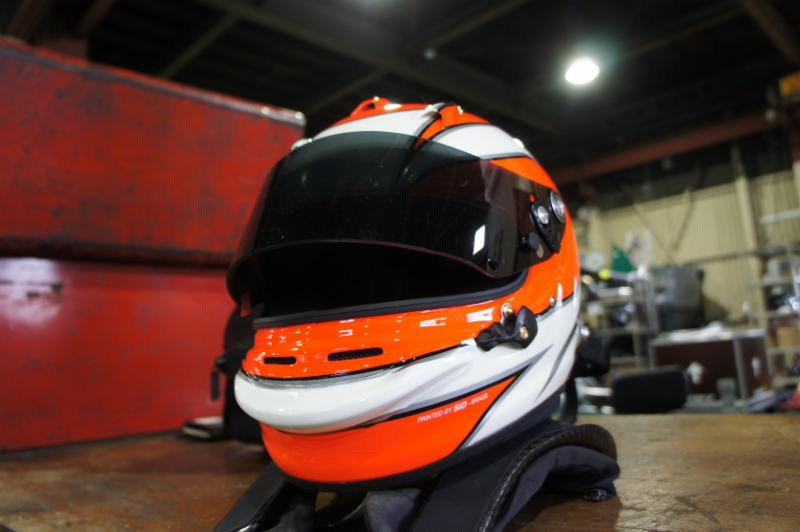 A couple of days later, the young racer was on his way to the B-Max Racing HQ to meet with his new team and mold his new seat for 2018. While in Brazil, Bruno was a special guest at the FOX NITRO TV Show broadcasted nationwide by Fox Sports Brasil and hosted by Flavio Gomes, Thiago Alves, and Felipe Motta. 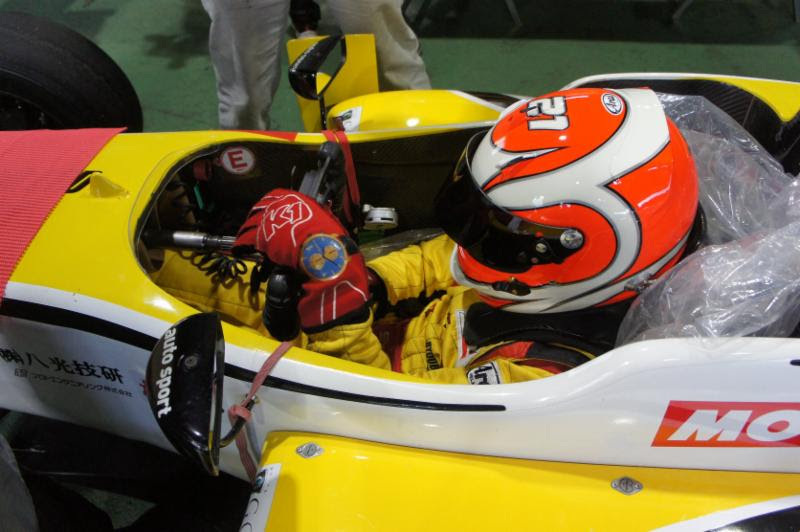 He was also interviewed by Motorsport.com, GrandePremio.com on stories to be released after the conclusion of the F1 Winter tests in Barcelona. 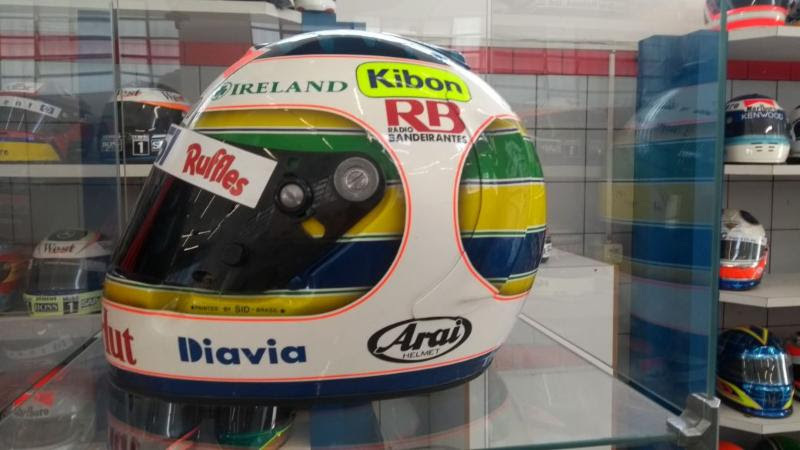 He was also invited to visit the Ayrton Senna Institute in the company of helmet designer Raí Caldato and meet with potential sponsors on the same day. 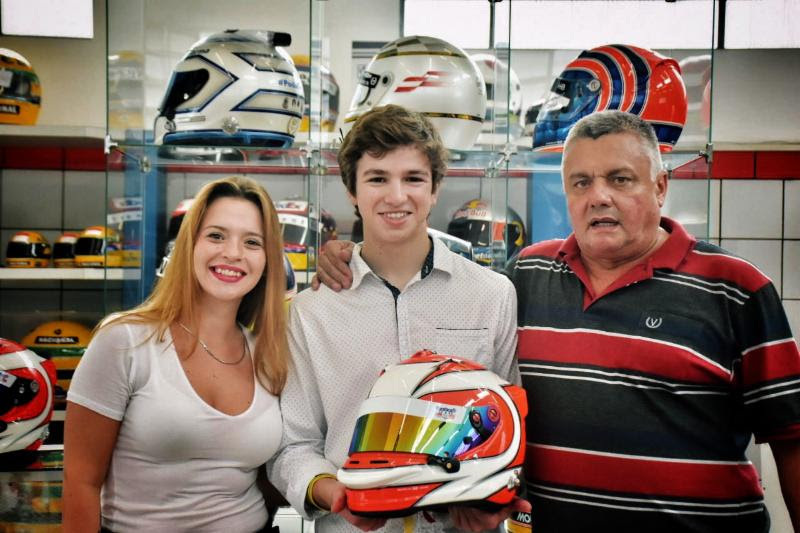 On Thursday, Bruno visited the SID Special Paint company to meet with Alan and Stella Mosca that painted his 2018 Arai GP6 RC helmets. 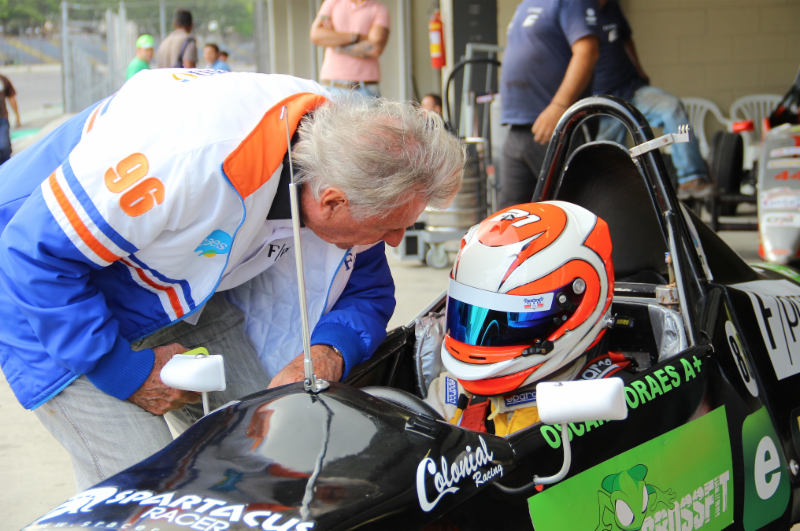 During the visit, Bruno was interviewed by journalist Alexander Grün for GloboTV and SportTV. 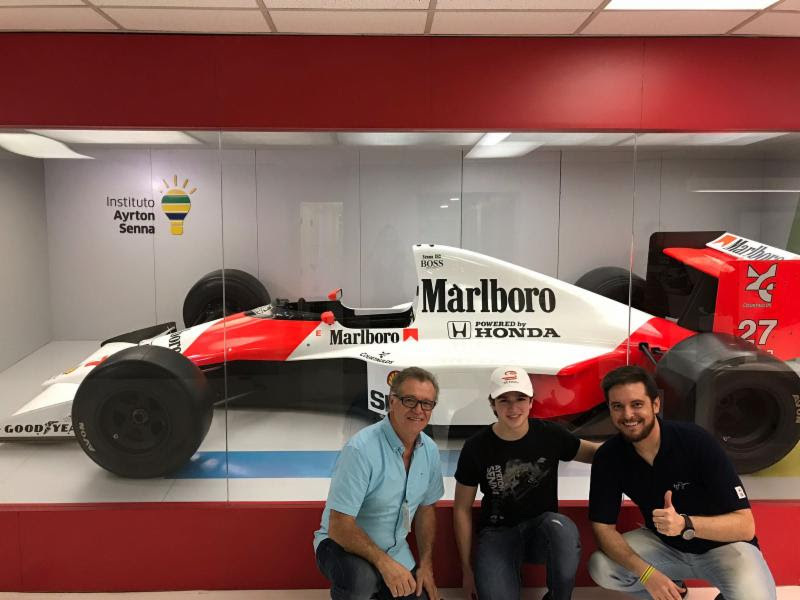 One of the highlights of Bruno’s visit to Brasil was the opportunity created by journalist Sergio Carvalho, Wilson Fittipaldi and Luiz Zappanelli. 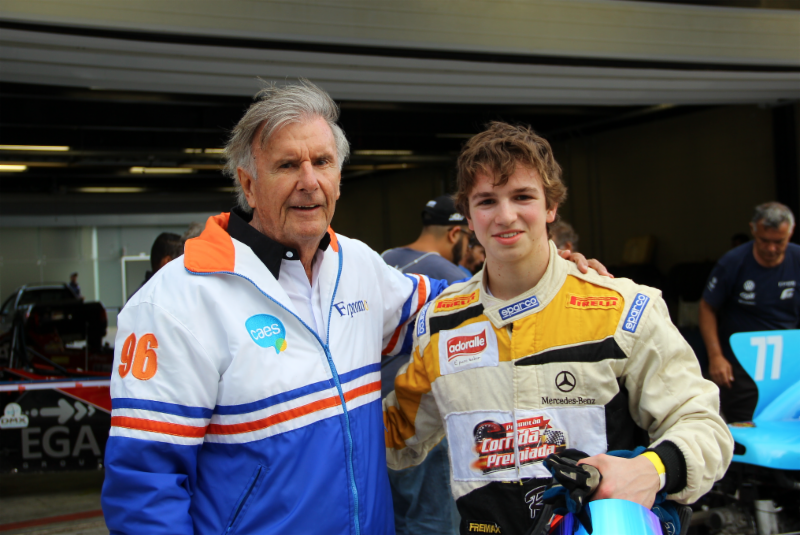 Former Brabham F1 driver Wilson Fittipaldi invited Bruno to test one of the Formula Vee 1600 cars around Interlagos. 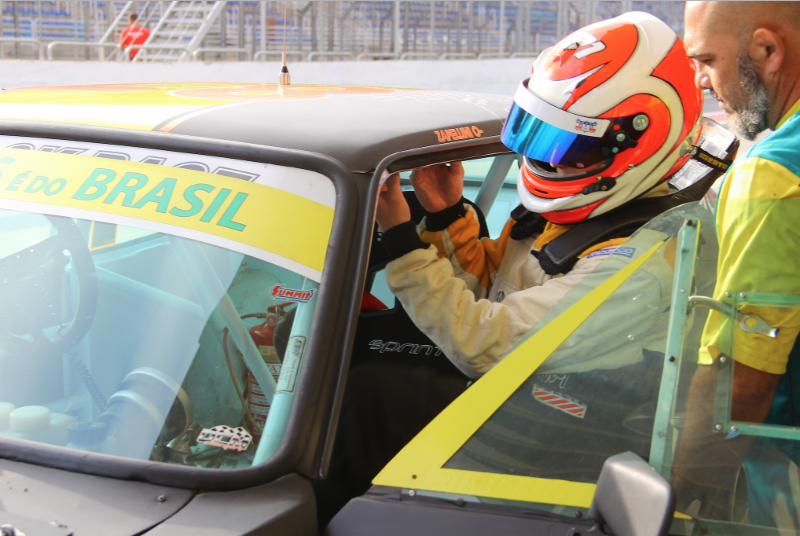 Later, Luiz Zappanelli offered his own Old Stock Opala for a few laps. The 1978 350hp Chevrolet Opala was for sure an outstanding experience for the young Brazilian-American driver, who did not feel intimated by the challenge and set very good lap times in only 3 laps.We would like to thank all the incredible love and support of Walmir Utrera, Marcelo Lima, Carmen Utrera, Jimmy Peixoto for driving Bruno everywhere in São Paulo. Many thanks to Fernanda Gonçalves for all the logistical support and media contacts. Bellow, you can find some of the pictures of this trip. 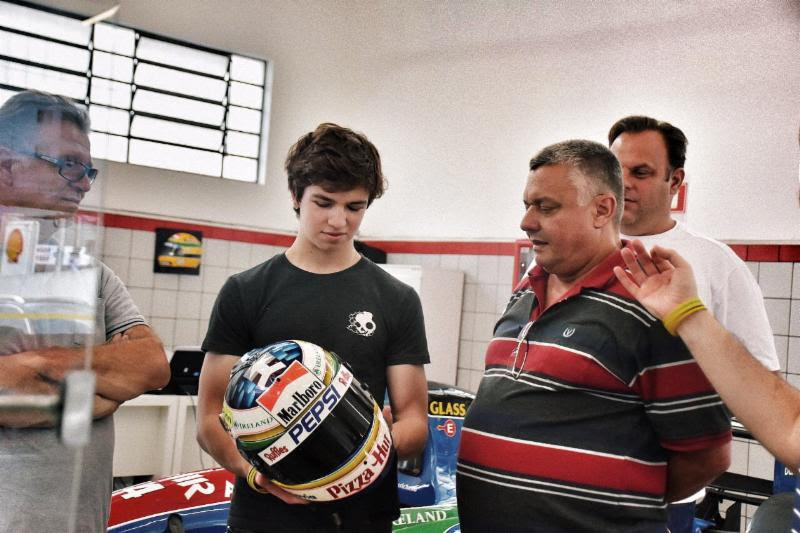 Walmir Utrera, Bruno Carneiro and Rai Caldato visit Ayrton Senna Institute. Stella Mosca, Bruno Carneiro and Alan Mosca from SID Special Pain. 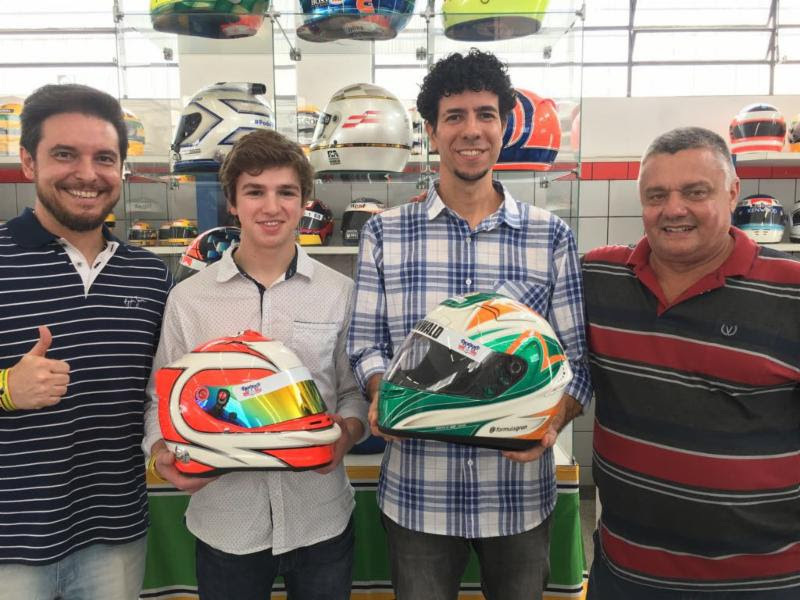 Rai Caldato, Bruno Carneiro, Alexander Grün and Alan Mosca. 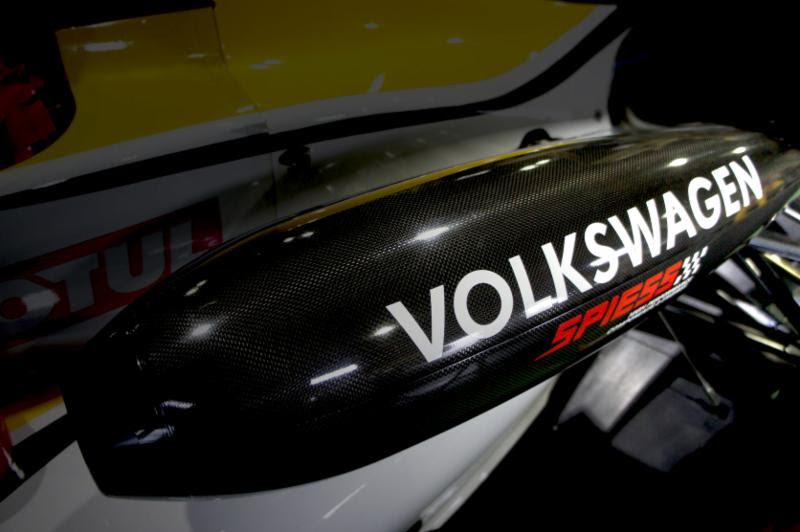 Ayrton Senna’s traditional yellow, green and yellow colors, are being wrapped by Barrichello’s design. when Utrera was PepsiCo Latin America Marketing Director, a few years before he create Rodizio Grill. 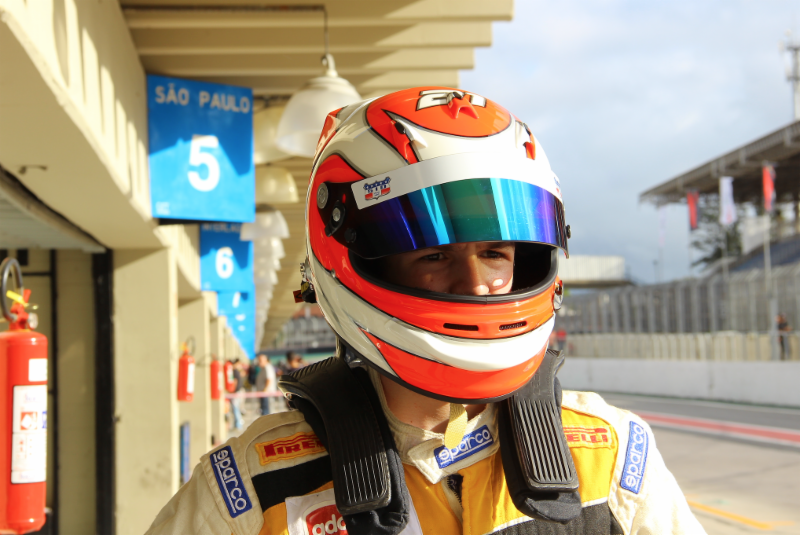 Bruno Carneiro, ready to accomplish another goal. 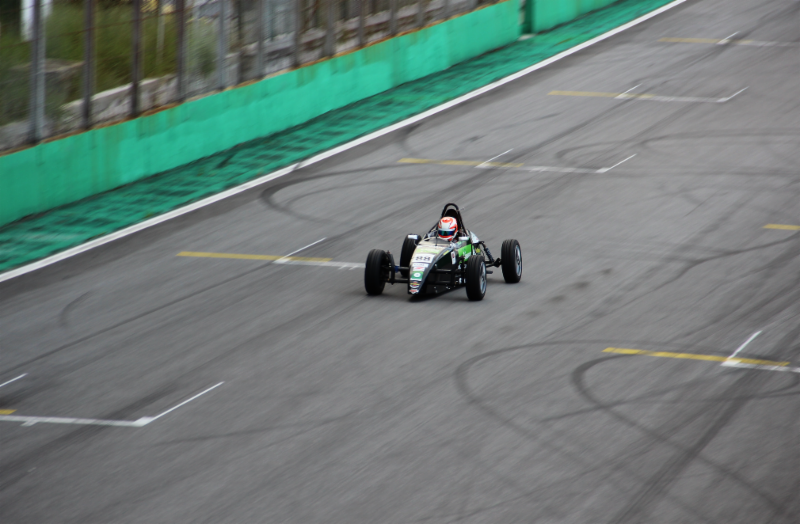 Drive at the legendary Interlagos track. 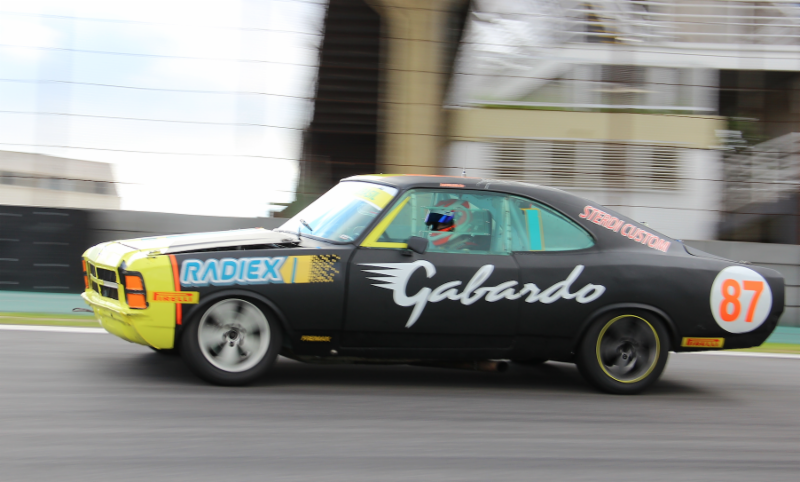 Climbing onboard the 1978 350hp Old Stock Opala. The approach to the Senna Esses in Interlagos. Previous post Fundraising Dinner for Bruno Carneiro at Rodizio Grill!